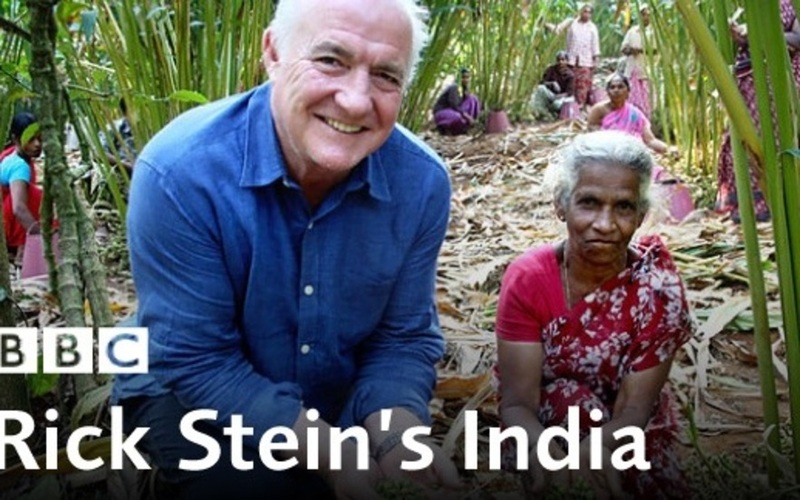 As part of a series on BBC2, Award winning chef Rick Stein recently embarked on a journey through South India to discover the secret of the perfect Indian curry and to trace the origins of Indian dishes and spices that are popular the world over. Stein's journey in South India started in the ancient temple town of Madurai where he was captivated by the traditional cooking in the temples. His travels then took him into breathtaking Kerala where he discovered spice plantations, tea clad hills, serene backwaters and the charming Port Town of Cochin. On this gastronomical sojourn, Stein ventured into cardamom and pepper plantations, discovered the many diverse styles of cooking in Kerala and also experienced the real taste of Kerala in the local eating places that offer mouth watering traditional delicacies. 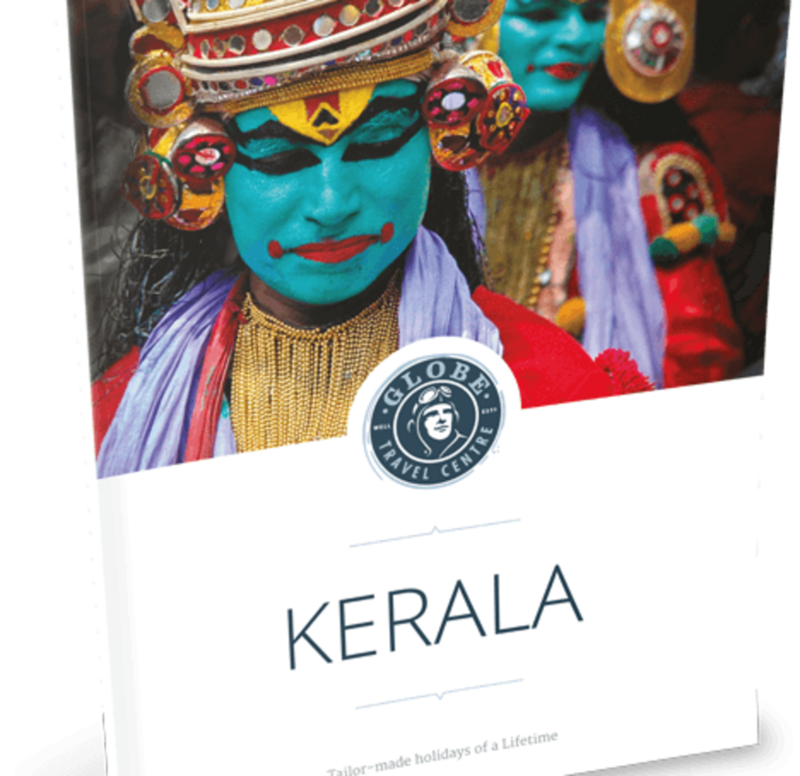 Kerala Travel Centre brings you an exclusive tour that traces the footsteps of Rick Stein and gives you the opportunity to re-create and discover the same magic that captivated the celebrated chef. 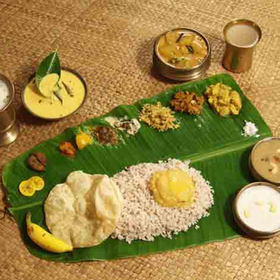 As you unravel the many culinary marvels of Kerala, you will also discover the region's many delightful highlights. Travel to Madurai, which is considered to be one of South India's oldest and most historic cities. Early Greek historical documents record Madurai's existence since the 4th century BC. Madurai's rich cultural heritage has been passed down through the centuries making it one of the most prominent temple towns in Tamil Nadu today. Check into your hotel and spend your afternoon exploring the resort and relaxing. Later in the evening, visit the colourful flower markets and busy bazaars of Madurai; you will be captivated by the smells and sounds of this amazing temple town. Overnight at the Heritage Madurai with a vehicle at your disposal. This morning you will visit the famous Meenakshi temple. The 1000-pillared hall depicts beautiful sculptures showcasing stories from ancient Hindu Epics. Besides a tour of the fascinating temple, you will be given a guided tour of the temple's kitchen which prepares delicious temple food for the thousands of devotees who visit every day. Eating at the temple is considered to be auspicious by devotees and the temples' chefs devote a lot of love and attention to preparing a number of delicacies. Watch as delicious sambar curry is mass prepared along with many south Indian snacks including vadas and payasam (a dessert). Spend your evening relaxing. 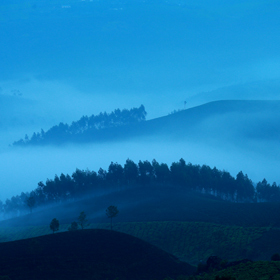 In the morning, drive to Periyar, an area known for its undulating hills, spice plantations, and elephant sightings. Check into the Spice Village on arrival. 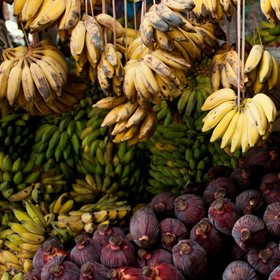 Go on a spice plantation tour, where you will be enticed by the aroma of spices like cinnamon, cardamom, pepper and nutmeg and learn how they are grown, harvested and processed before they reach the supermarkets. The pepper grown in Kerala is considered to be amongst the finest in the world. Spend your evening relaxing and exploring the hotel. Periyar is known for its wildlife - particularly its elephants. In the morning, enjoy an escorted three-hour jungle trek which offers excellent opportunities to watch birds, butterflies and other wildlife including elephants, bison and deer. The trails often pass through evergreen forests interspersed with marshy grasslands. 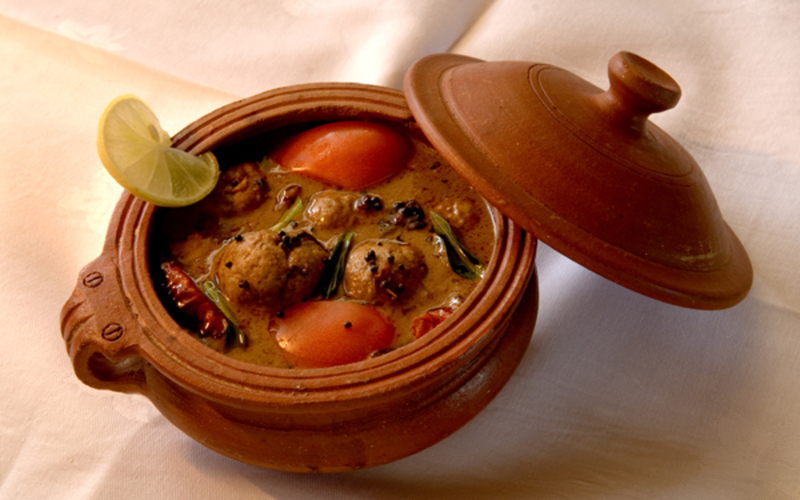 Upon your return, participate in a cooking demonstration at the Spice Village where you can try your hand at making your own variations of Kerala dishes. This morning you will be transferred to the backwater region of Kumarakom where you will take a short boat ride to the Coconut Lagoon backwater resort. Set on a picturesque island in the serene backwaters, the Coconut Lagoon is rated as one of the twenty-five best getaways in the world - and for good reason. Spend your day relaxing and exploring the resort. Amongst other things, the Coconut Lagoon offers Kerala cuisine in its most authentic form and those who want to take home an enriching taste of the land can take a lesson or two from the ever-obliging chefs. Spend your day relaxing at the Coconut Lagoon. Enjoy a full-body, rejuvenating Ayurveda massage. Ayurveda is a 5000-year-old medical science – perhaps the oldest, and definitely the most holistic medical systems available anywhere in the world. Embark on your private houseboat and cruise on the backwaters, a vast expanse of placid waters that branch off into countless canals, coves and creeks. 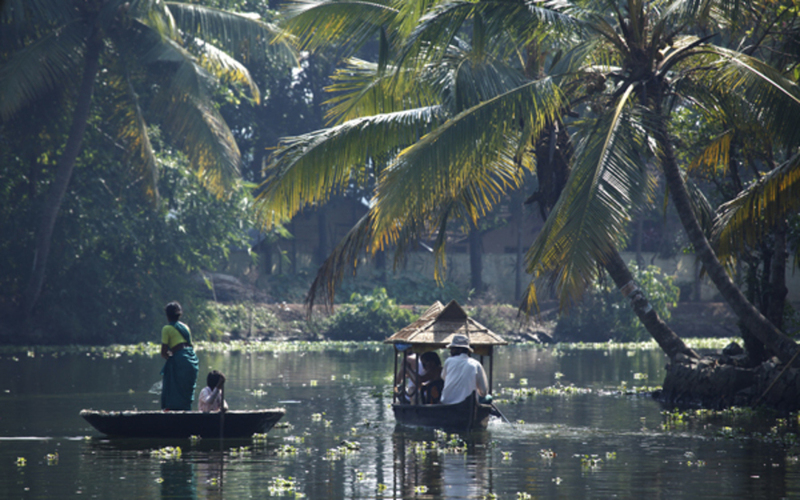 A leisurely boat ride along these unique palm-fringed waterways will be one of the most memorable experiences for any traveller to Kerala. Your houseboats, or Kettuvalloms, are converted rice barges with well-appointed bedrooms and en-suite bathrooms. Apart from the mesmerising surroundings, it is the life along the coast that makes this a fascinating experience. Canoes with sails still transport people and you will find vegetable sellers, fishermen and other traders bringing household materials door-to-door by small, wooden boats. Your boats are manned by a captain, a personal chef and your housekeeping staff. Needless to say, the local food on the houseboat is something to look forward to. 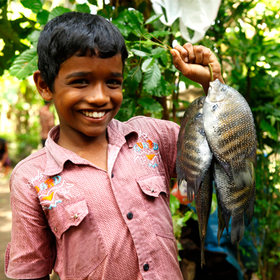 The Karimeen, or Pearlspot, is the most famous fish found in the backwaters. Fish lovers are in for a treat as you will get to witness how your houseboat chef prepares this delicacy and serves it to you as part of a traditional meal. As you cruise along the backwaters, your captain will stop at a local toddy shop where you can sample the local toddy and mingle with the locals. Overnight on the houseboat with full board. Drive to Cochin, where you will check into the Brunton Boatyard hotel on arrival. Cochin, or Kochi as it is now called, offers you the best of history and culture anywhere in Kerala. A port town since early centuries, Cochin attracted traders and invaders from the world over. You can see snippets of the different eras and influences in the many attractions in Cochin. Step out of the hotel and you are within walking distance of other attractions like the Chinese fishing nets, said to have been left behind by Chinese traders in the 15th century. In the latter half of the day, you will spend time at the home of Nimmy and Paul, who belong to the traditional Syrian Christian community in Kerala. Nimmy has been a professional cooking instructor for more than 20 years and, in keeping with family traditions, is very passionate about serving great Kerala food. 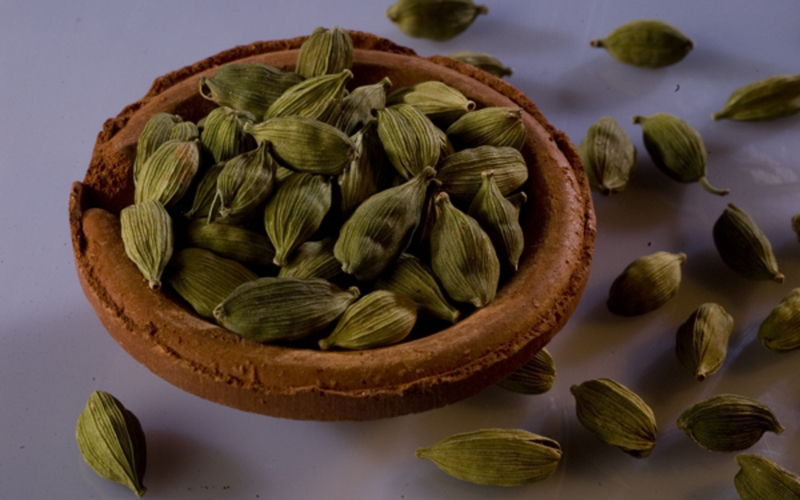 You will get the opportunity to participate in the process and learn how traditional spices are used in the typical Travancore vegetarian food. In the evening, visit the Pai Thattukada, named after the Pai brothers who popularized the concept of Thattus, or small shops, that offer cheaper and quicker alternative to restaurant food. Some of the Thattus serve over 70 varieties of Dosas, or rice pancakes, and your trip to Kerala cannot be complete without sampling the dosas here. In the morning, enjoy a sightseeing tour of Cochin. 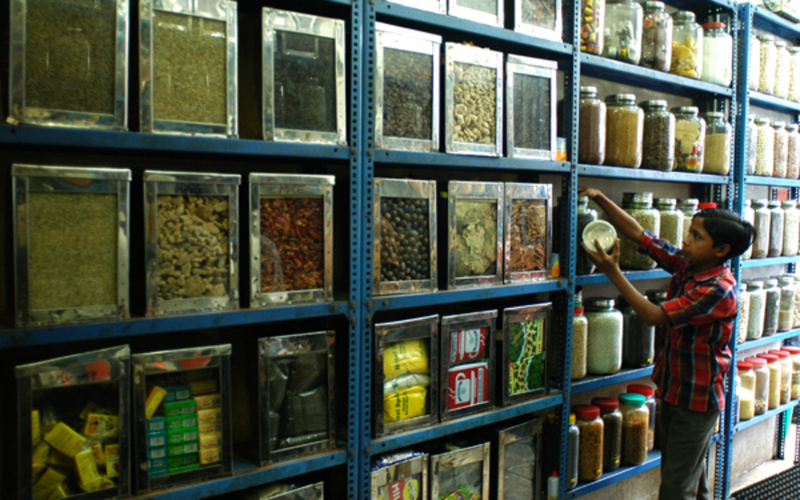 Start by visiting the Mattancherry spice godowns (warehouses) where the open spaces between the godowns are used to dry and pack various spices including coriander, pepper and ginger. In the evening, enjoy an exclusive Kathakali performance at the resort. Kathakali is the traditional dance of Kerala and literally means a story play. It is a highly-dramatic dance form which depicts the moral values of god and man. The characters wear elaborate makeup and heavy ornaments and the performances are very enthralling. Departure transfer to Cochin airport for your return flight with a vehicle provided to take you to the airport.